A pro-abortion billboard campaign in California has spent money in the five-figure range to attack pregnancy centers for allegedly spreading misinformation regarding “abortion reversal” (see here). I want to make something very clear about “abortion reversal.” The claim that a medication abortion can be reversed is not in line with any accepted standard medical process whatsoever, and women’s health experts such as the highly respected American College of Obstetricians and Gynecologists have called it experimental and unethical. Typically, when somebody begins with “I want to make something very clear” or “let me be clear,” you would be wise to brace yourself for some muddled gobbledygook. So, unsurprisingly, the next sentence in the email is patently false. There is no shortage of highly respected scientists and medical experts who support abortion reversal based on good science…oh yeah, and living evidence. Interestingly enough, the article in the Sacramento Bee mentioned above includes a quote from Dr. Harvey Kliman, director of the reproductive and placental research unit at the Yale School of Medicine, from an article that appeared in the New York Times in July 2017. Dr. Kliman said: “It [abortion reversal] makes biological sense…I think this is actually totally feasible” (see here for the original article in the New York Times). As to the living evidence, consider the following story we published in Celebrate Life Magazine entitled “Abortion Reversal.” Sarah DeJulio regretted her initial decision to abort, underwent the abortion reversal process, and now has a beautiful, healthy girl named Emilia Grace. Women who have undergone abortion reversal have done so freely because they regretted their initial choice to kill their child. They changed their minds…but you see, that is where being “pro-choice” ends. 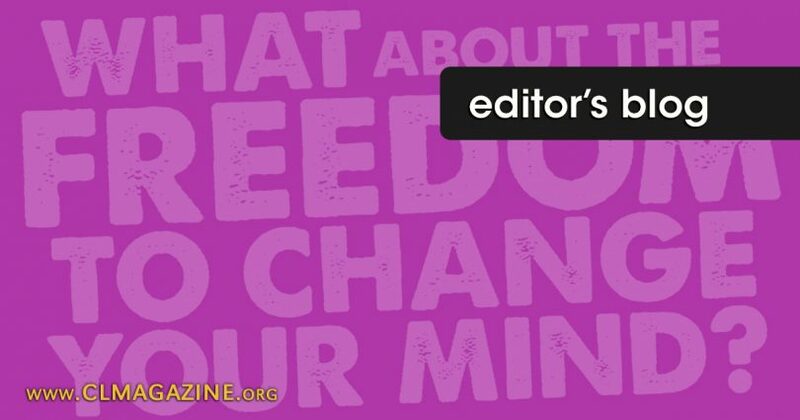 These women changed their minds and exercised their freedom in a way that is detrimental to the abortion industry, and thus the abortion industry has chosen to redact the narrative by ignoring facts and writing fiction. There are plenty of other living witnesses to the reality of abortion reversal. There is no shortage of medical doctors, healthcare professionals, and scientists who can explain how it works. However, such explanations and honest information is devastating to the abortion industry’s bottom line, which is why that industry is currently spending money to make money in California with its mendacious billboard campaign and why PP is sending out fundraising emails to rile emotions, not reason, by producing vitriol-inspiring fiction.